Aimée Thorne-Thomsen is the Vice President for Strategic Partnerships at Advocates for Youth, where she oversees the development, implementation, and evaluation of strategic partnerships with youth activists and colleague organizations in allied social justice movements. She has an extensive background in communications, movement-building, and youth organizing. Throughout her career, Aimée has focused on creating spaces for and elevating the voices of young people, especially young people of color and LGBTQ young people, in reproductive health, rights, and justice. Prior to joining Advocates for Youth, Aimee served as Interim Executive Director for the Astraea Foundation, and as Executive Director of the Pro-Choice Public Education Project (PEP). She serves on the Boards of SisterSong, Mobilize the Immigrant Vote, and Rewire, and has been a Public Voices Fellow with the Op-ed Project. Aimée earned her bachelor’s from Yale University and her master’s in Public Administration from Baruch College. Park Cannon is a politically active, pro-choice, 20-something who matriculated from the nation’s first public university, the University of North Carolina, Chapel Hill. Fluent in three languages, Park focused on both linguistics and Women’s and Gender Studies, earning both juris doctor and master’s in Public Health degrees. She currently works in patient advocacy, program coordination, and health education at one of the last late-term abortion clinics in the South. Her previous work experience includes policy writing, grant writing, grassroots organizing, lobbying, sexual education, and domestic violence prevention. Coya White Hat-Artichoker was raised on the Rosebud Reservation in South Dakota. A proud enrolled member of the Rosebud Sioux Tribe, she has been doing activist work in various communities and movements since the age of 15. Coya was a founding member of the First Nations Two Spirit Collective, which worked to provide analysis regarding Two Spirit people and sovereignty in the larger LGBTQ dialogue. She currently works in politics, and is also a consultant providing analysis on Native American issues and Reproductive Justice. She has appeared in the film “After Stonewall” by After Stonewall Productions, and was selected as one of the “40 under 40” LGBT Leaders by The Advocate in 2010, as one of Velvetpark’s Top 25 Significant Queer Women in 2014. 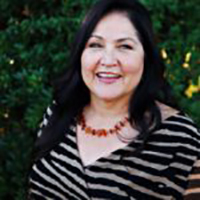 Her writing has appeared in Sharing Our Stories of Survival: Native Women Surviving Violence published by Altamira Press in 2007, “The Bilerico Report” on LGBTQ Nation; and The Huffington Post. In addition to the SisterSong board, she currently serves on the boards of the PFund (an LGBTQ community foundation) and the American Indian OIC, both based in Minneapolis, MN. She tweets @coyahope. Kaori Sueyoshi is a Business Intelligence Analyst at Planned Parenthood Federation of America. A radical Japanese-American cis-gendered woman, Kaori is concerned with the hyphens in her identity. In summer 2013, she interned with Planned Parenthood’s Generation Action team, where she learned the power of effective campus organizing. In the face of political turmoil in her home state, Kaori organized the first annual NC Reproductive Justice Leadership Institute to gather campus leaders and train them to energize student activism. She has also gotten herself arrested as an act of civil disobedience with the Moral Monday Movement in NC. Kaori earned her bachelor’s in Business Administration and Political Science with a minor in Public Policy from the University of North Carolina, Chapel Hill. Charlene A. Carruthers is the national director of the Black Youth Project 100 (BYP100), a member-led organization of Black activists from 18 to 35 years old who are dedicated to creating justice and freedom for all Black people. Charlene is a political organizer and writer with over 10 years of experience in racial justice, feminist, and youth leadership movement-building work. Her passion for developing young leaders to build capacity within marginalized communities has led her to work on immigrant rights, economic justice, and civil rights campaigns nationwide. She has led grassroots and digital strategy campaigns for national progressive organizations such as the Center for Community Change, the Women’s Media Center, ColorOfChange.org, and National People’s Action. She has facilitated and developed political trainings for organizations including the NAACP, the Center for Progressive Leadership, the New Organizing Institute, MoveOn.org, Young People For, and Wellstone Action. Born and raised on South Side of Chicago where she currently resides, Charlene earned her bachelor’s in History & International Studies from Illinois Wesleyan University and her master’s in Social Work from Washington University in St. Louis. Angela Moreno has over two decades of experience working extensively with foundations and community-based organizations striving for social justice across the country both inside and outside of the nonprofit sector. She has provided technical assistance, strategic planning, capacity building, fundraising, and organizational development support. Now Interim Executive Director of FIERCE, she builds the leadership and power of LGBTQ youth of color in New York City. For more than 10 years, she has served National Advocates for Pregnant Women, first on the Board of Directors, and currently on the Advisory Board. In addition to the SisterSong Board, she has also served as Director or Advisor to the mid-Missouri ACLU, Third Wave Foundation (now Third Wave Fund), Abortion Access Project (now PROVIDE), Border Action Network (BAN), National Latina Institute for Reproductive Health (NLIRH), and the Spirit in Motion Project of the Movement Strategy Center. Angela is a trained doula, a proponent of harm reduction, and a committed student of somatic learning. Born and raised in Arizona borderlands, she holds a master’s from Teachers College, Columbia University. Jessica Byrd is the Principal of Three Point Strategies, a political consulting firm based in Washington DC that provides strategic political programming for people of color candidates and organizations. With nearly a decade of experience, she possesses a deep knowledge of progressive ecosystems. Jessica spearheaded the BLUE Institute in Atlanta, a 5-day campaign staff training for people of color in the South; nearly every trainee moved on to work on a 2016 electoral campaign. A native of Columbus, Ohio, she also runs a national people of color candidate recruitment effort called “The Pathway Project.” Essence Magazinenamed her the January 2015 Woman to Watch, Time Magazine featured her as one of “12 New Faces of Black Leadership” in 2015, and Rolling Stone said she was one of the most influential millennials shaping the 2016 election. Angela Ferrell-Zabala has been Planned Parenthood’s Director of African American Leadership and Engagement since 2014. She works to ensure that the real lived experiences and needs of communities of color, particularly black women, girls, and the larger black community, are centered in the strategies that Planned Parenthood moves forward. She also makes sure that Planned Parenthood is working in partnership with existing organizations, groups, and institutions led by and serving the black community. Her priority is to create health equity and prosperity and to reduce health disparities especially in reproductive health outcomes. Before Planned Parenthood, Angela worked for the Religious Coalition for Reproductive Choice (RCRC) as the Director of Field Operations, where her chief responsibilities were grassroots organizing, state strategy, and assisting progressive faith communities with capacity building. Passionate about movement building and empowering the next generation of leaders, Angela has also worked at the Center for Community Change, where she played an integral role in immigrant youth leadership projects and in the Community Voting Project. With a background in Social Sciences, Angela began her journey into the world of social justice through many volunteer opportunities with particular interest in women’s rights, the LGBT community, immigration, and education. Bekezela Mguni is a radical librarian, Reproductive Justice activist, artist, and abundant-bodied femme. She believes that the collective sharing of knowledge, beauty, and inspiration is a part of life’s purpose, and brings that intentional spirit to her work. Bekezela collaborates with various artists, educators, healers and activists on work that seeks to create new worlds. She holds a master’s in Library and Information Science, and in June 2013, was blessed to participate in the first delegation of Librarians and Archivists to Palestine. Bekezela has completed a micro-residency at the Pittsburgh creative hub Boom Concepts, launched the Pittsburgh POC Zine Distro, and been featured in the Exposure: Black Voices in the Arts exhibition in winter 2015. As a Penn Ave Creative fellow with the Kelly-Strayhorn Theater, she examined the relationship between literacy and liberation during her March 2016 residency. Through the Black Unicorn Project, a Black, queer, feminist library and archive, she created spaces to center and honor the cultural contributions and storytelling of Black women. Bekezela is interested in Black joy, resistance, legacy and possibilities. Katrina Cantrell began working as a volunteer at Women’s Health Specialists in 1985, and is now the Associate Executive Director. Her innovative vision and extraordinary leadership have helped the organization emerge as a model for healthcare delivery and community engagement. Inspired by her grounding in Native American culture and supported by her colleagues, community, and organization, Katrina has applied indigenous attitudes and techniques to her mission of keeping women’s health in women’s hands. She continues to work toward this goal by advancing cultural self-determination for indigenous and marginalized people, and by providing contraceptive and reproductive health services and education to all communities. Katrina co-founded the Northstate Women’s Health Network in Redding, CA. She also currently serves as Board President of the Native American Women’s Health Education Resource Center in SD, and is a former Board Member of the National Women’s Health Network of Washington, DC and the National Network of Abortion Funds. Kelley Robinson is the Assistant Director for Youth Organizing at Planned Parenthood Federation of America, where she amplifies youth voices in the movement for sexual and reproductive health, access, and rights. Throughout her career, she has organized and pursued social justice initiatives with special attention to protecting the rights of young people and communities of color. Kelley has gained extensive political and grassroots organizing experience through assisting President Obama’s 2008 Campaign, researching disaster studies, working at Planned Parenthood of the Heartland, and advocating and organizing for Reproductive Justice nationally at Choice USA. Originally from Chicago, Kelley earned her bachelor’s in Sociology and Women’s & Gender Studies from the University of Missouri. Amber J. Phillips is a social justice organizer working to advance the rights of women, young people, people of color, and low-income communities. She is deeply committed to political and digital organizing to identify, train, and empower new leaders to spark social change within their own communities. A former Field Organizing Director of the Equality and Culture Project at UltraViolet, Amber organized with women across the country to help build and run a strategic national campaign for women’s reproductive rights. She has also been the Manager of Campus Organizing at Advocates for Youth, where she helped mobilize activists for sexual health awareness, LGBTQ rights, gender equality, and ending the stigma around abortion through the 1 in 3 Campaign. She supported dozens of sexual health and reproductive rights organizers and influenced viral messaging content for Advocates’ “Don’t Be Trich’ed” campaign and for the 1 in 3 Campaign Valentines. Amber is also a member of Echoing Ida, a project of Forward Together that amplifies the voices of Black women on critical social justice issues. She holds a bachelor’s in Social Work and Cultural Studies with a concentration in African-American Studies from Chatham College for Women. Staceyann Chin is a spoken-word poet, performing artist, and LGBTQ rights political activist. Her work has been published in The New York Times, The Washington Post, and The Pittsburgh Daily, and has been featured on 60 Minutes. Staceyann has also been on The Oprah Winfrey Show, where she shared her struggles in growing up homosexual in Jamaica. She was the winner of the 1999 Chicago People of Color Slam; first runner- up in the 1999 Outright Poetry Slam; winner of the 1998 Lambda Poetry Slam; a finalist in the 1999 Nuyorican Grand Slam; winner of the 1998 and 2000 Slam This! ; and winner of WORD: The First Slam for Television. She has also been on Public-access television cable TV programs in Brooklyn and Manhattan, as well as many local radio stations, including WHCR and WBAI. The Joseph Pap Public Theater has featured her multiple times, and she has toured internationally, with performances in London, Denmark, Germany, South Africa, and New York’s own Central Park Summer Stage. Lyndsey Godwin is the Assistant Director for the Carpenter Program in Religion, Gender, and Sexuality at Vanderbilt Divinity School. With an eye on intersections and multiple-issue lives, she works to connect academics, activists, organizers, artists, faith leaders, and educators to have deeper conversations and develop more positive justice practices. While she primarily approaches her work by looking at religion, gender, and sexuality first, she prioritizes community-based work that empowers youth, centralizes those most marginalized, and lifts up issues of racism, classism, and other forms of systemic oppression. A queer, white, feminist sexuality educator and youth volunteer in a Southern Baptist church, Lyndsey seeks to develop anti-racist practices and liberatory spaces that center engaged, shared learning.